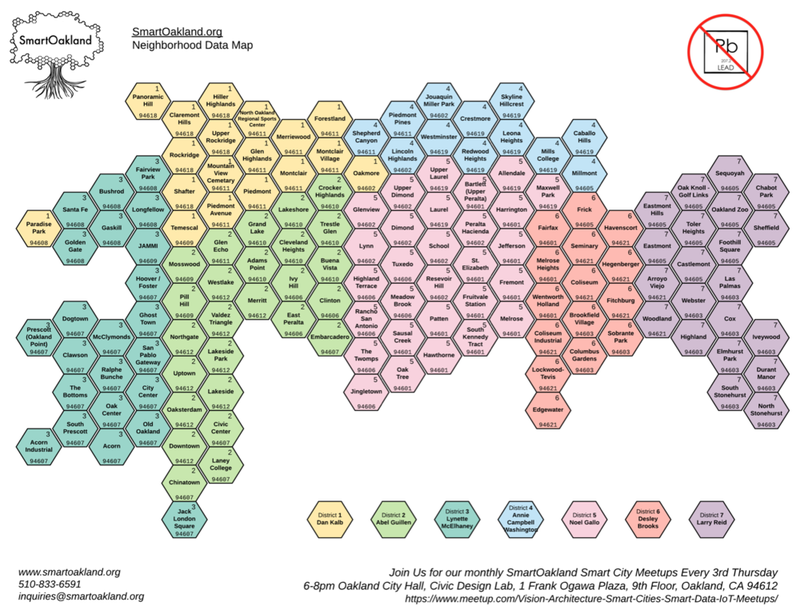 We took the Oakland Neighborhood Project and turned the outlines of the micro-communities into a beehive structure of hexagons to represent the collaboration needed to accomplish initiatives toward shared purpose. We can be very different and still benefit from sharing resources, access, data, influence, and strategy to bring about the change we want to see. Click on the image to download a 11 x 17" copy to print for yourself and your projects.